Burton Padove welcomes you to this website and hopes that you will find information that will assist you with your legal needs. He has obtained two record verdicts and has been protecting the legal rights of victims for nearly 30 years as an Illinois and Indiana personal personal injury lawyer, as well as in the areas of medical malpractice, truck accidents, defective product litigation, and family law. He is licensed in both Illinois and Indiana. Mr. Padove is an Illinois and Indiana personal injury lawyer who is an active participant in the Chicago Bar Association and the Lake County Bar Association where he has served as a Director as well as a Technology Committee Member and Chairperson of the Lawyer Referral Program Committee. He also maintains membership with the American Association for Justice and the Indiana Trial Lawyers Association. Mr. Padove has received recognition for his commitment to the Lake County Pro Bono Program which provides free legal services to those without enough money to hire counsel for their law needs. He has previously served as a volunteer state coordinator for CRASH (Citizens for Reliable and Safe Highways) and is currently a volunteer. Mr. Padove has visited Congressional representatives to advocate for highway and trucking safety. 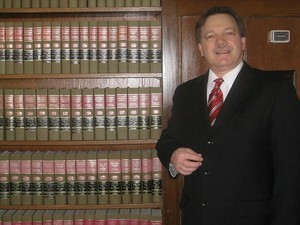 He is highly published as a leading contributor in WWW.LAWGURU.COM and is a co-author of an article about lawsuits against physicians in the Illinois Trial Lawyers Journal. He has also been quoted in the Chicago Tribune on the topic of child abuse in a child care setting. We, at Padove Law understand the challenges associated with divorce, auto accidents, trucking accidents, worker's compensation, medical malpractice, nursing home abuse, dog bites, defective drugs and other incidents that have affected the lives of individuals. We know the importance of choosing an Illinois or Indiana personal injury lawyer capable of fighting for your legal rights. From initial case screening to preparation and defense of the case, Burton Padove is committed to excellence in litigation. Although every state may have its own laws, the devastation to injury victims and their families knows no borders. Mr. Padove has been honored to represent the interests of victims and their families in Indiana, Illinois and nationwide.